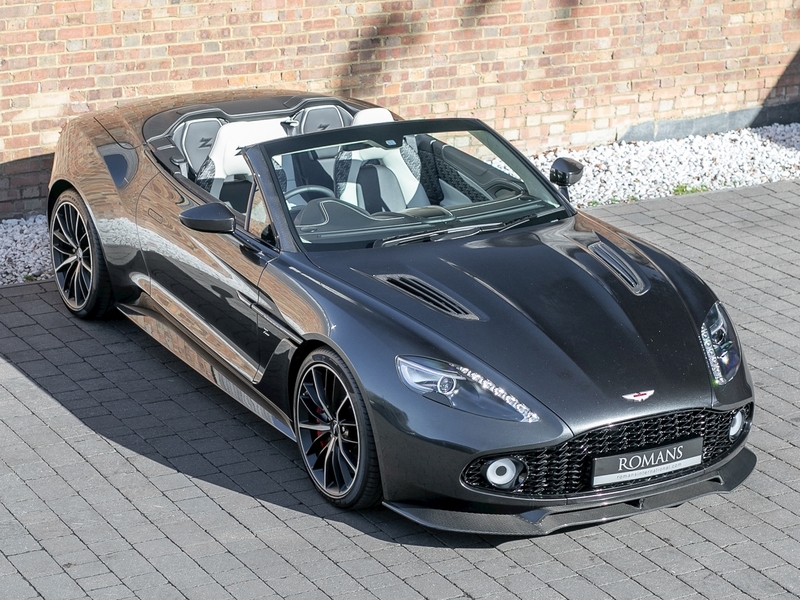 One of only 99 Aston Martin Vanquish Volantes built by renowned coachbuilder Zagato is looking for a new home. 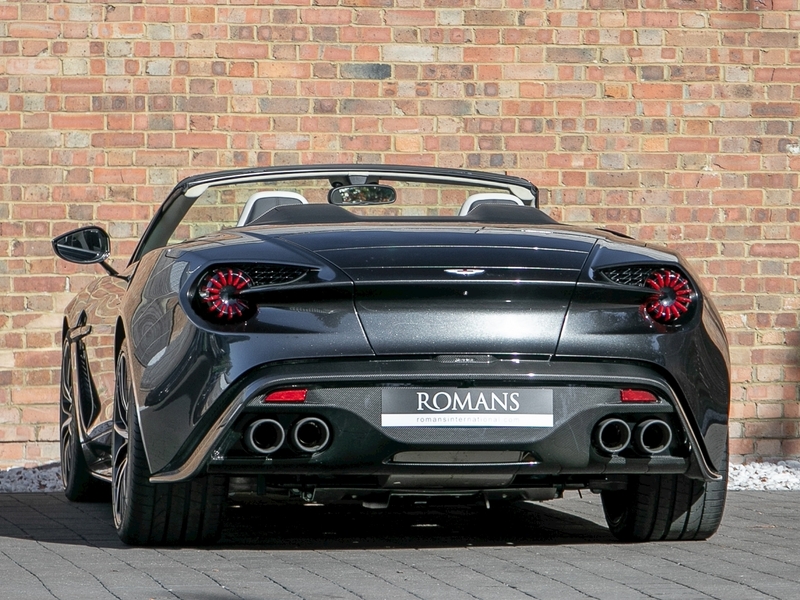 A drop-dead gorgeous 2018 Aston Martin Vanquish Zagato Volante, as in one of the rarest Aston Martins made in recent years, has been recently listed for sale by British luxury car reseller Romans International. The price? An eye-watering $919,550. 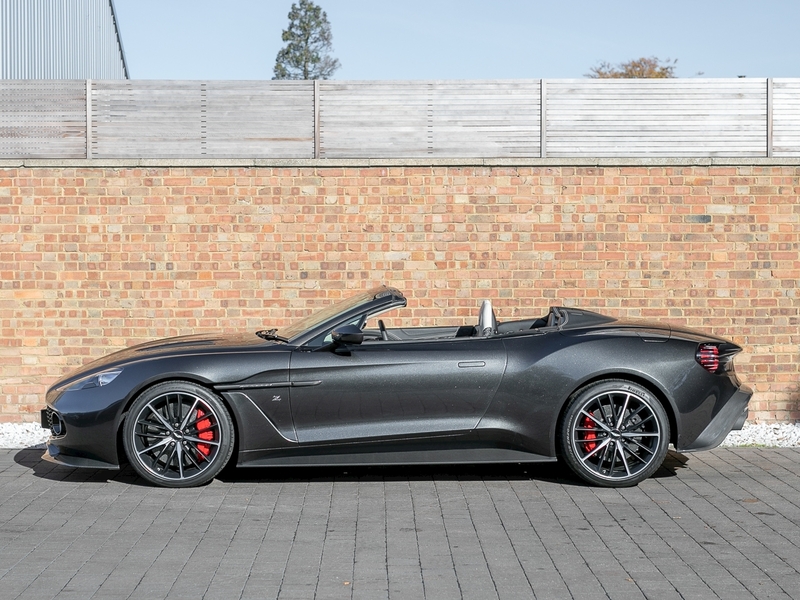 The modern take on the Vanquish Zagato Volante pays homage to the DB4 GT Zagato from the '60s, a car that shocked the world with its smooth styling and lightweight approach, and is the ultimate representation of the partnership between the iconic British automaker and the legendary Italian coachbuilder. Even though the new design builds on the DB4's heritage, it also takes styling cues from the outrageous Vulcan and One-77; making this a truly unique machine. As expected, this lovely Ceramic Grey example hasn’t seen much road time, with only 259 miles on the clock. The sleek (and quite sparkly) exterior is clad with a variety of carbon fiber bits, a grey cloth top, and red brake calipers that pop behind the 20-inch, 15-spoke satin black diamond wheels. When it comes to the interior, we sure hope you're into "Zs," because that's what the leather-wrapped cabin is covered with. Under the hood is a hand-built 6.0-liter V-12, sans any help from forced induction, which generates 592 horsepower wrangled by an eight-speed automatic transmission. At wide open pulls, the Zagato sprints to 60 miles per hour in 3.7-seconds, and Aston claims a top speed of 198 mph, but that’s likely the speed it’s limited to, not its actual capacity. 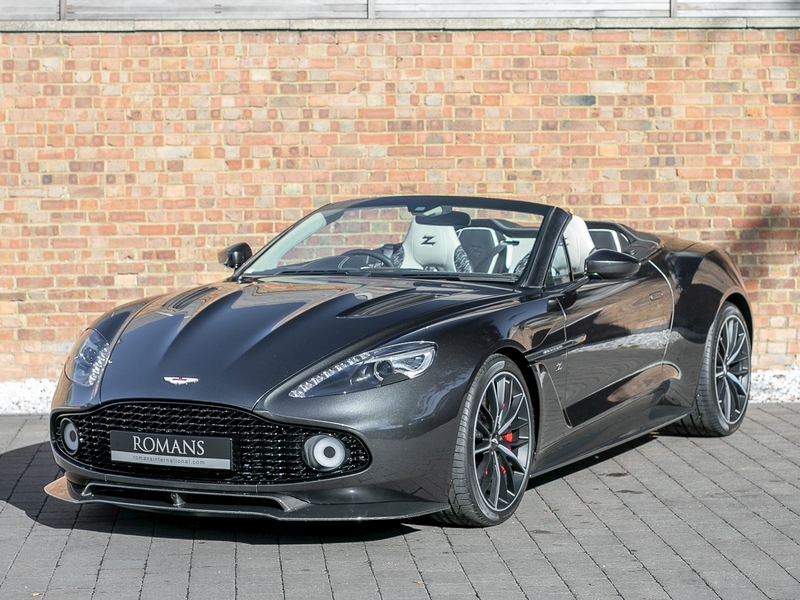 The listing company is known for offering choice vehicles to the world's elite, with other models in its inventory ranging from a Ferrari LaFerrari, Bugatti Veyron 16.4, McLaren P1, to a 2017 Coupe variant of this Zagato among its listings. The company's first ever IPO was set at £19 per share.